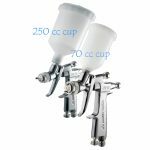 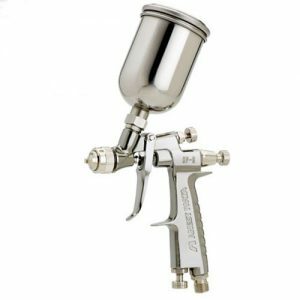 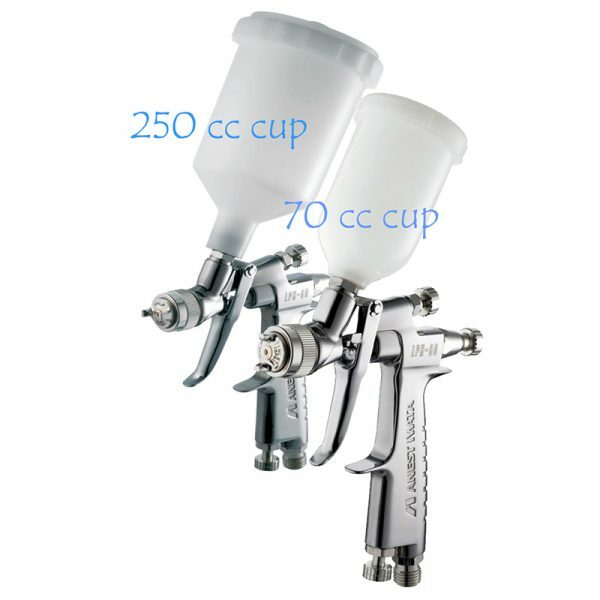 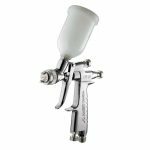 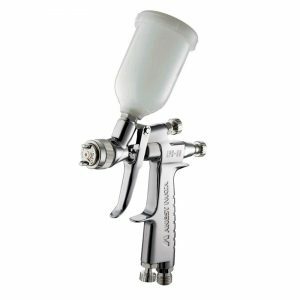 The Iwata LPH-80 LVLP Spray Gun is ideally suited for large scale production spraying as well as auto-body refinishing, custom-auto painting, large murals and signage. 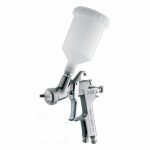 These guns spray will easily spray high-viscosity paints, including metallic paints. 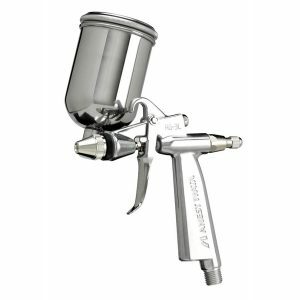 The Anest Iwata LPH-80 miniature, centre-post gravity-feed spray gun is a full-featured HVLP – High Volume, Low Pressure gun with spray characteristics similar to the popular Iwata LPH-50 spray gun. 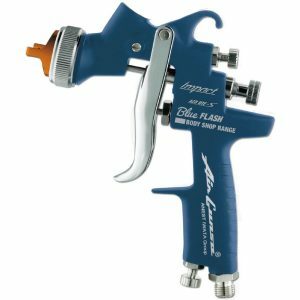 Using only 1.8 cfm or 50 lpm at 13 psi, this low-air-consumption gun provides high atomization with precise control of the spray pattern and a minimum of over-spray.